Come visit Visionary Computer to learn all about the revolutionary Apple TV. This demonstration and Q&A session will be run on our big beautiful 60" TV featuring the Apple TV. See all that this compact and affordable box has to offer. 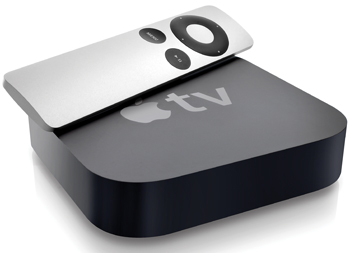 If you already have an Apple TV, this seminar is not for you. It's all about introducing and demonstrating the device to people who do not currently own one. Typical Apple TV customers need to have a High Definition TV with HDMI inputs and high-speed broadband Internet. Apple TV, the small box with big-time entertainment has no future classes scheduled at this time.